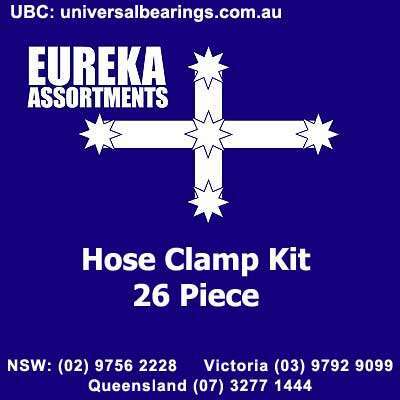 Hose clamp kit 26 piece. 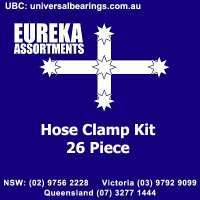 Hose clamps are typically limited to moderate pressures, such as those found in automotive and home applications. 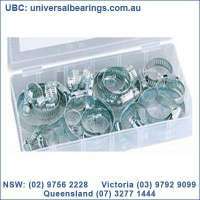 At high pressures, especially with large hose sizes, the clamp would have to be unwieldy to be able to withstand the forces expanding it without allowing the hose to slide off the barb or a leak to form. 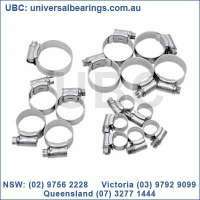 For these high pressure applications, compression fittings, thick crimp fittings, or other designs are normally used. 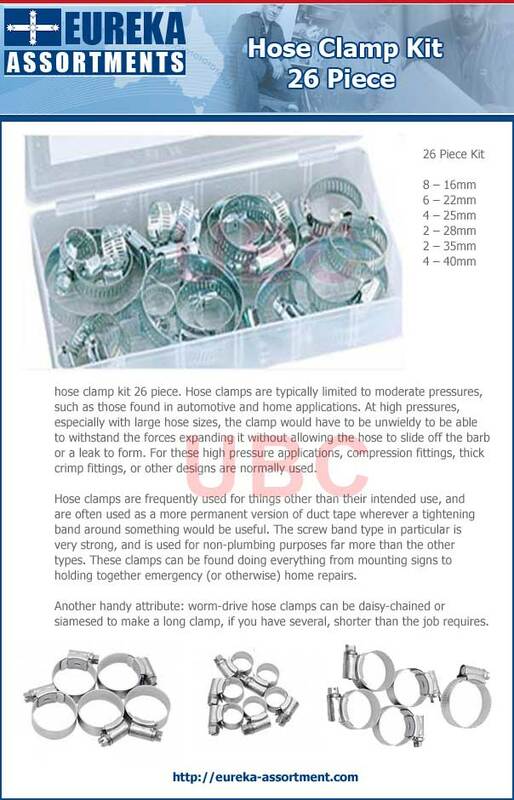 Hose clamps are frequently used for things other than their intended use, and are often used as a more permanent version of duct tape wherever a tightening band around something would be useful. 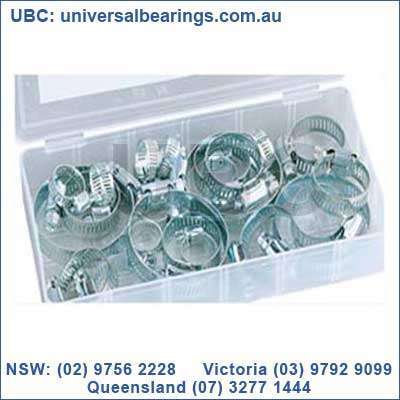 The screw band type in particular is very strong, and is used for non-plumbing purposes far more than the other types. These clamps can be found doing everything from mounting signs to holding together emergency (or otherwise) home repairs. 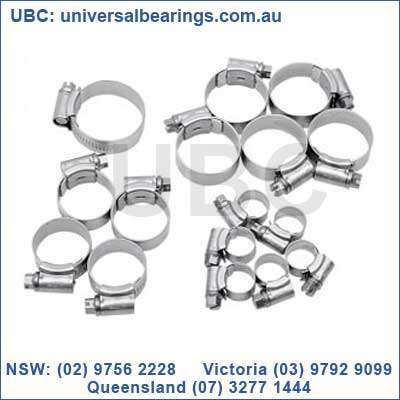 Another handy attribute: worm-drive hose clamps can be daisy-chained or siamesed to make a long clamp, if you have several, shorter than the job requires.